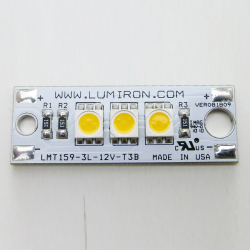 The LUMIRON LUMOS LMT-150-2L-T3 linear module is an LED system for hard to fit cove areas, accent, and channel applications. 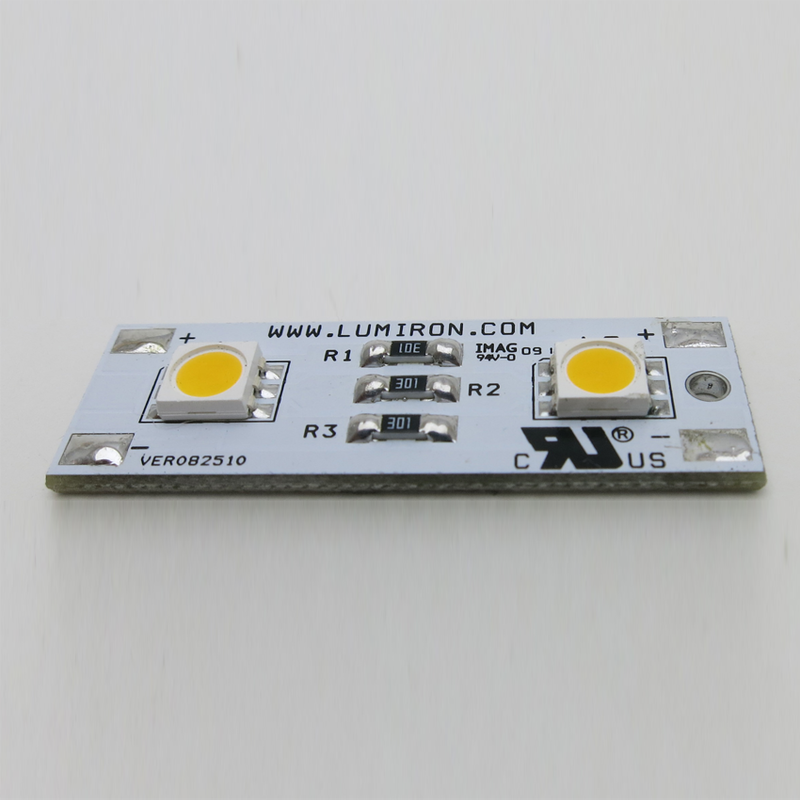 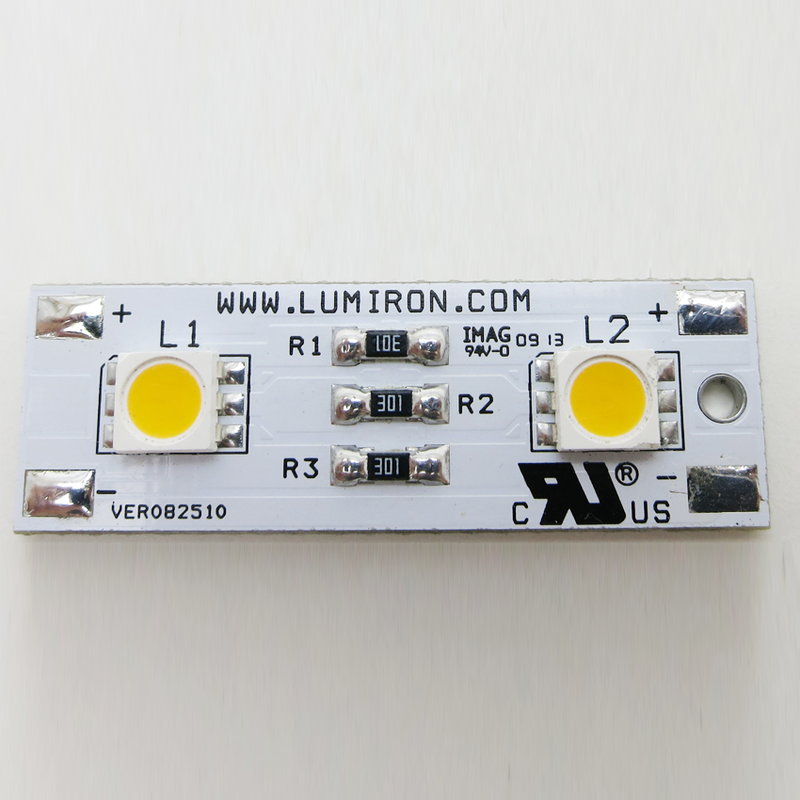 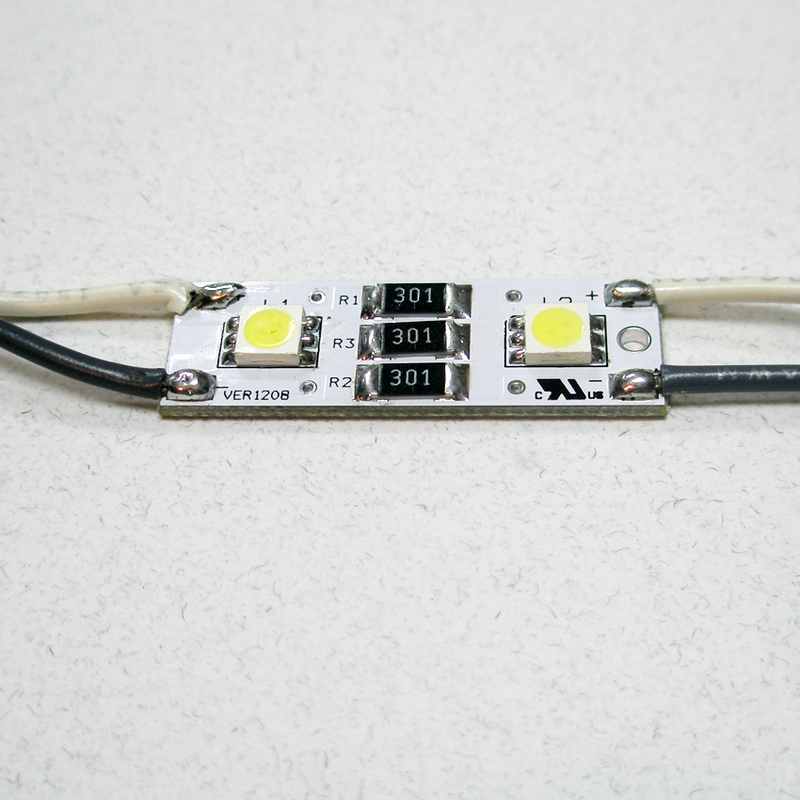 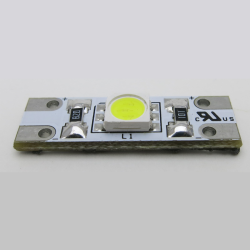 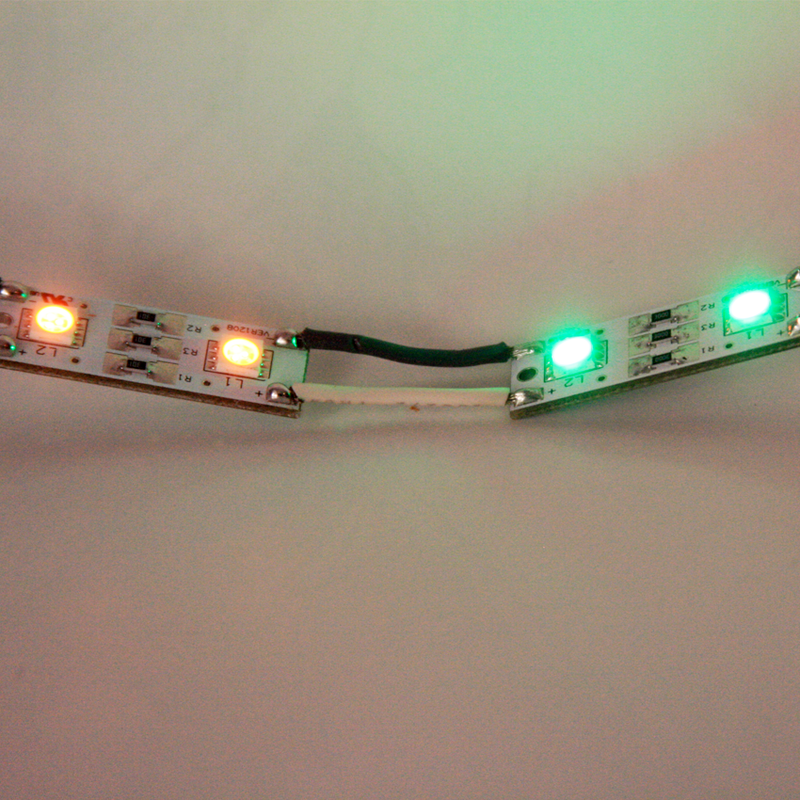 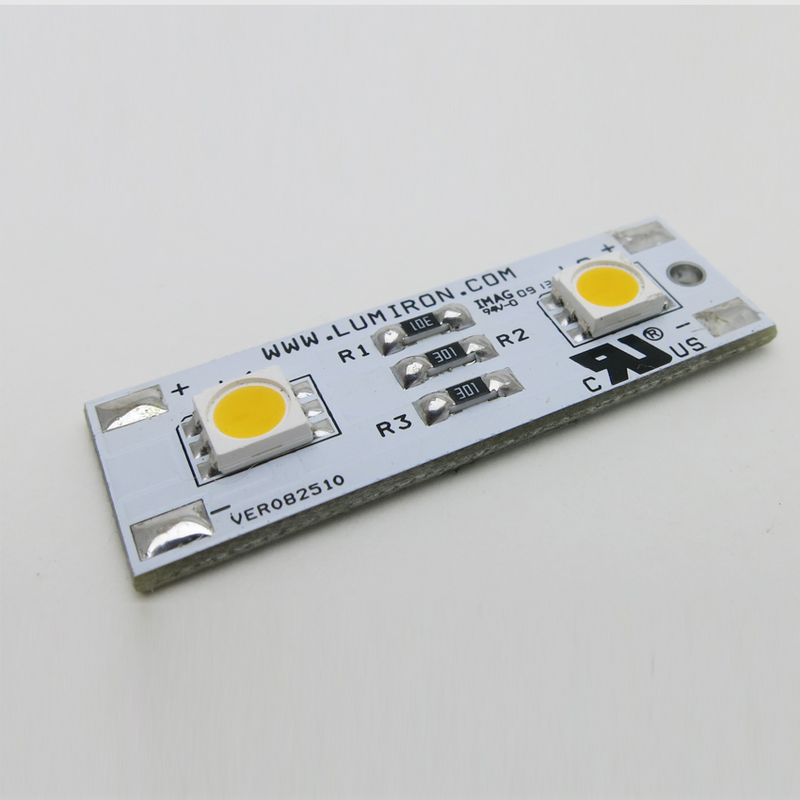 This double LED module measures 1.5 x 0.5 Inches, comes standard wired with 3 modules per linear foot and has a total power consumption of only 0.6W per module. 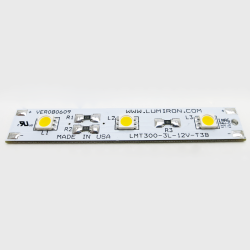 Available in a variety color the LUMOS LMT-150-2L-T3 linear module is a high efficiency, a dimmable LED technology that easily mounts to a multitude of surfaces for a long-lasting impactful luminosity.